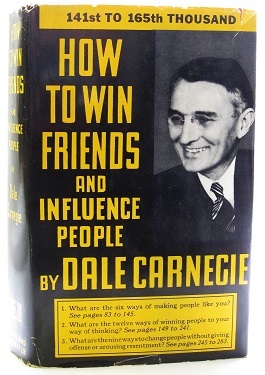 "How-to-win-friends-and-influence-people" by http://stephendriscoll.files.wordpress.com/2010/02/how-to-win-friends-and-influence-people.jpg?w=250&h=387. Licensed under Fair use via Wikipedia. This originally appeared in The Hill. Carnegie warned about the negative effects of criticism. It leaves a mark on the psyche of the average American. In modern politics, it is not realistic to avoid negative campaigning. But criticism for criticism’s sake is not enough to win a campaign. Republicans have to put forward their action plans, their vision of change, and not merely focus on the president’s failings. It’s not enough to curse the darkness. 2. Arouse in the American people an eager want. Carnegie talks about how to get children to eat their vegetables, by linking it to something they want to do, like becoming a basketball star or beating up the neighborhood bully. In much the same way, the Republican Party has to better link its policies to what the American people really want, which is economic security and a peace of mind knowing that their families will be safe. The GOP often talks about tax cuts or increasing defense spending, but rarely connects it to what the American people really want. Carnegie said, “A smile is nature’s best antidote for discouragement. It brings rest to the weary, sunshine to those who are frowning, and hope to those who are hopeless and defeated.” Republicans need to remember that a smile can go a long way to achieving important political goals. It can inspire confidence and win votes. Ronald Reagan was the best at this because he saw a bright future for the American people. We need a happy warrior who smiles and can make the American people feel at ease. Probably the most clever thing Ted Cruz (R-Texas) has done in his time in the Senate is come up with the hashtag “make Washington listen.” If there is one thing that the Republican Party needs to do better, it’s to listen attentively to the varied concerns of the voters and then come up with a plan to respond to those concerns. 5. Talk about your mistakes before criticizing somebody else. Republicans can’t just hope that people forget the tail end of the Bush years, because, frankly, they don’t. And for the GOP to lay the fault of the financial crisis and the disaster in Iraq at the feet of President Obama lacks credibility. So, it is far better to acknowledge that mistakes were made. 6. People don’t blame themselves. Carnegie reminds us that even the most notorious criminals don’t think of themselves as bad people. In much the same way, voters don’t see themselves as the reason why the deficit is out of control. “Keep the government’s hands off my Medicare” is a popular sign at various political rallies and a perfect example of why it is darn near impossible to reign in entitlement spending. There is no use trying to convince voters that they are at fault. They won’t believe it. 7. Make the fault seem easy to correct. Fixing the debt isn’t that hard. It requires small fixes in the long term and broad economic growth. But if you listen to some Republicans, you would think that austerity is the only way to achieve this goal. 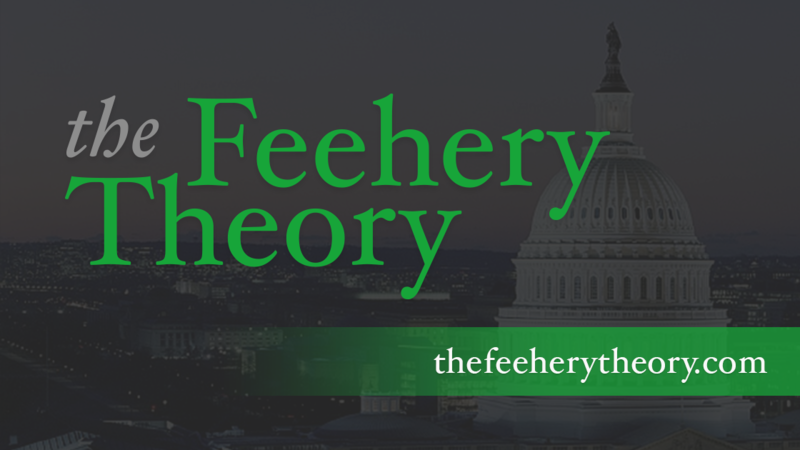 Instead of talking crisis and deep cuts, Republicans should make the case that fiscal responsibility can be a breeze if done in a responsible and measured way.